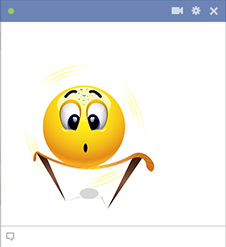 This emoticon is perfect for sharing on Facebook. If you want to create memorable messages and posts, scroll through are wide array of images to find you favorites. Our emoticons will help you enjoy Facebooking with your friends even more. Share them whenever you want to brighten someone's day.